Une silhouette sablier chez Timeless Trends ! Few weeks ago I had the great pleasure of being contacted by the online shop Timeless Trends. 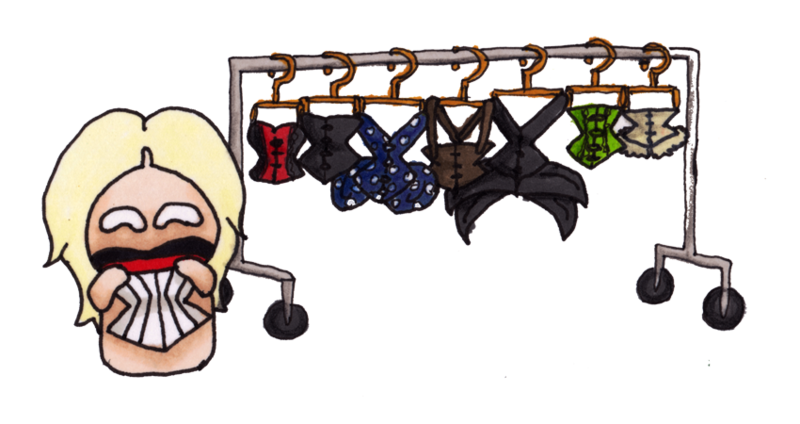 A shop specialized in corset. From corset through underbust, I admit that it's getting hard for my closet. But I can’t resist, I love it ! I didn’t have a classic underbust like that yet. I wanted one for a long time now and it’s gorgeous ! I finally made my choice quickly (And Mister Krevette was on the same page) when the nice Mr. Adrien offered me to choose from one of their "Hourglass Silhouette". You know, this is the type of corset that gives you that Dita Von Teese body ;-) Pretty hourglass curves. And I also didn’t have corsets with this silver swing hooks riveted, they are amazing ! And so much easier to close !! Then the fabric is really beautiful. The fitting of the stripes pleases me (as it’s shown on the site). The size is also good, I haven’t had bad surprise. The quality is there, the bones are in steel not plastic. And the cut is perfect. The only regret I have is about the choice of the laces. I don’t like the material of those who are on this model. The fabric folds and is much finer and fragile than the real lace-type. But since there is a “accessories for your corset” section (really a great idea !) I have everything I need to replace them. There are several types of lacing, but also garters straps or even bags specially designed to store your corset. There are regular "sale" but mostly "super clearance" with crazy prices ! I advise you to take a look. There is a variety of choice. 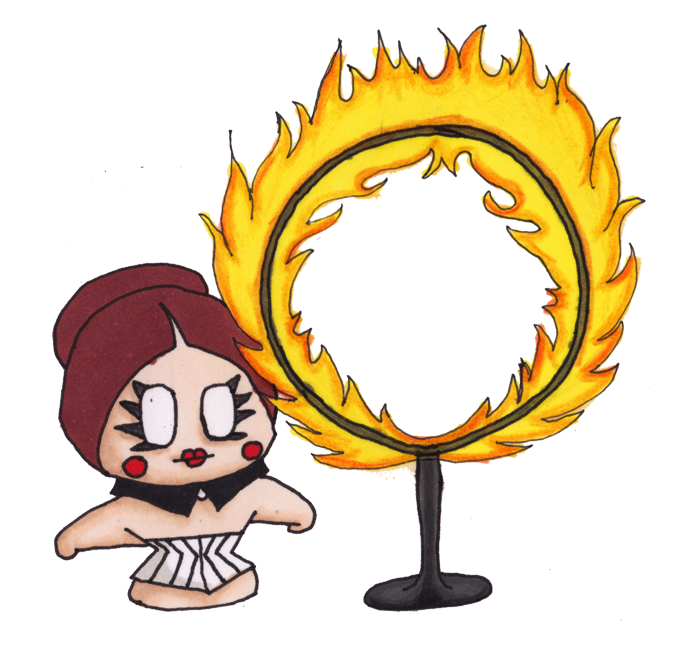 Categories like “bridal”, “cosplay”, “gothic” and even “steampunk”. (Not true that this is where I went first xP) And of course there are different shapes, not only hourglass corsets. I would have liked more choices - I don’t hide it - but maybe I'm greedy, ahah. In conclusion, I am very happy to have discovered a new corset shop ! And I am particularly proud to have had the chance to make this partnership. Because it’s the first real "alternative" partnership that I do. This is by far the one that got me the most enthusiastic and that fits the best to this blog. Of course I’m always flattered and honored to be contacted by brands. I also loved those did in the past but today this one is special to me. And for that I sincerely thank Timeless Trends. For giving me their trust and believe in my blog. And I hope that my nice readers will take a look at their shop because it’s worth it. 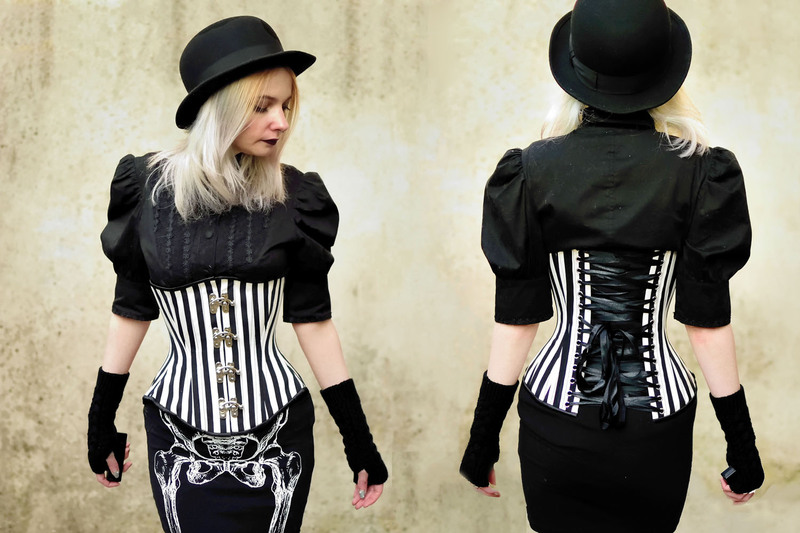 And again: I love my new underbust !! It’s beautiful :D I will definitely make a complete look with it, although I didn’t resist making this small one for this article. So, what do you think of my choice ? Which one would you have taken on their site ?